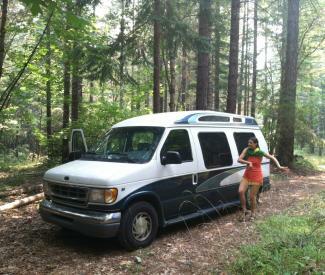 Brother Bear Productions: A New Age in Media Management: Breathe Owl Breathe's van and gear stolen in Berkeley, CA! Breathe Owl Breathe's van and gear stolen in Berkeley, CA! Below is a note from the touring musicians of indie folk group Breathe Owl Breathe -- their van was stolen last night in Berkeley, and they need your help in tracking it down. Sadly, all of their musical equipment, gear, clothing, and laptops were in the vehicle. Last night between midnight and 11 am from the Berkeley Hills area (Oakland, CA). Everything we own was in the vehicle. All of our musical equipment, including a laptop, and clothing. Please share this post far and wide- help get the word out! If you see a 1998 Ford Econoline Van (see picture) anywhere in the Bay Area or beyond, call the Oakland Police Department (510) 777-3333. 0 Response to "Breathe Owl Breathe's van and gear stolen in Berkeley, CA!"